After Rifle, Colorado, we got back on I-70 returning to Denver. We stopped at Glenwood Springs, Colorado. 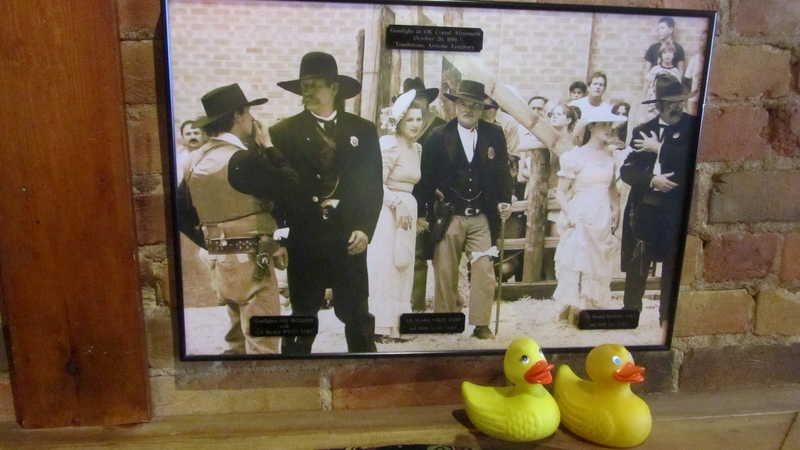 You might remember that Doc Holliday was with the three Earp Brothers during the shoot out at the OK Corral in Tombstone, Arizona. 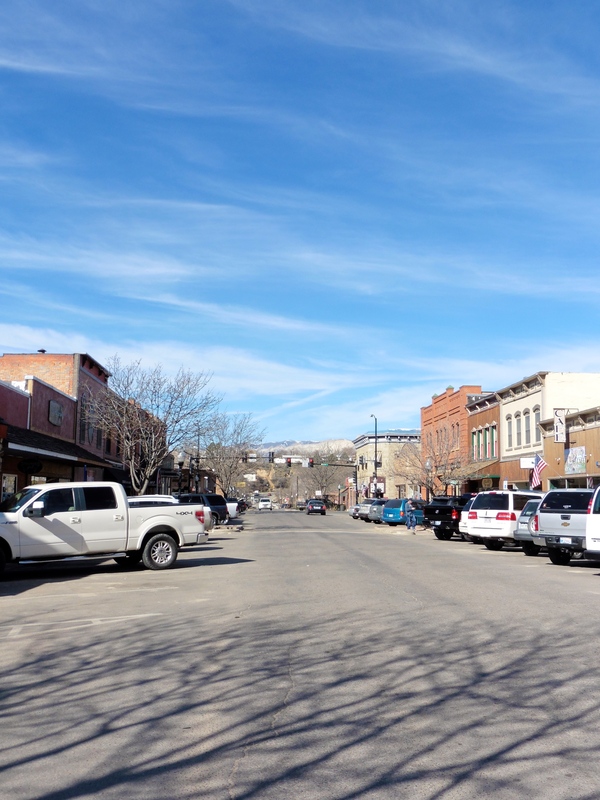 Shortly after the shoot out in Arizona, Doc Holliday moved to Glenwood Springs, Colorado. That was a great place for treatment if you had consumption, or tuberculosis at that time. 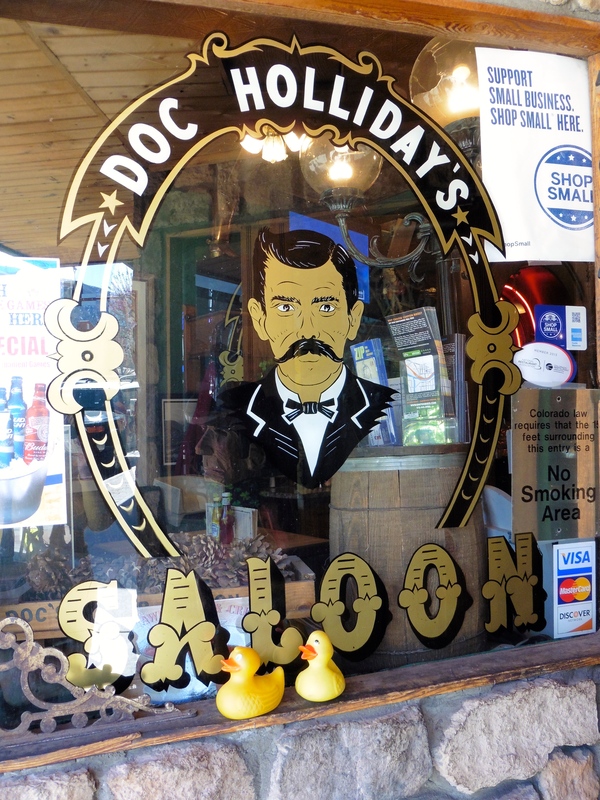 We went to Doc Holliday’s saloon. Good painting on the window here. This guy invites us in, so in we go. Friendly place. 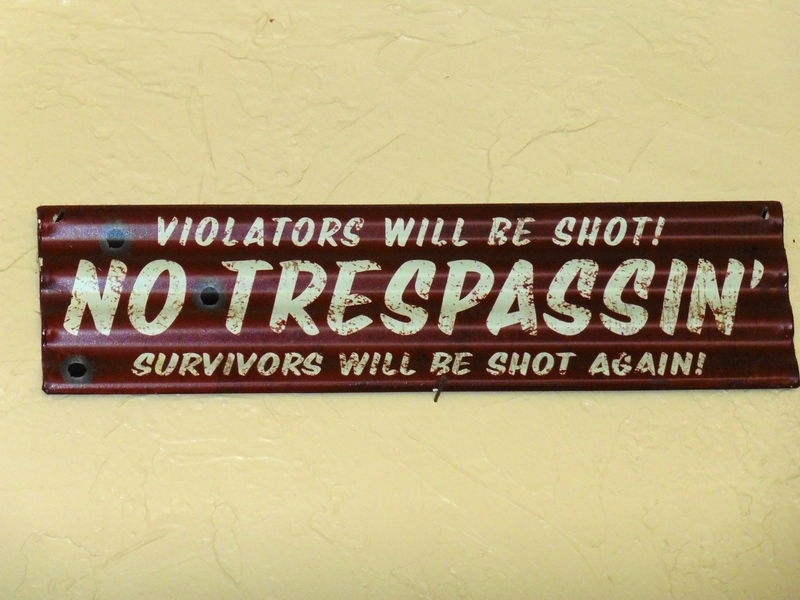 This is the sign from Doc Holliday’s office. Remember, he was a dentist. There are some great photos on this wall. This one is labeled Gunfight at OK Coral Aftermath, October 26, 1881. On the left is Gunfighter Doc Holliday with U.S. Marshall Wyatt Earp. In the center are U.S. Marshall Virgil Earp and Mrs. Allie Earp. 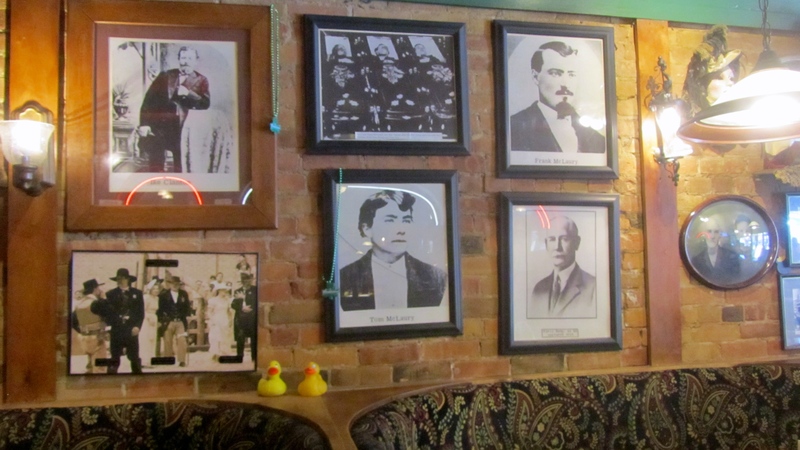 On the right, we see U.S. Marshall Morgan Earp and Mrs. Lou Earp. 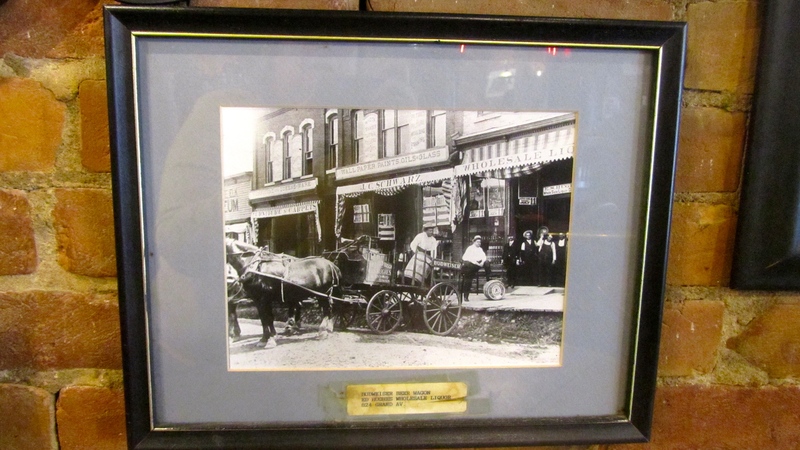 This photo is from Tombstone, Arizona Territory. This is a later photo of Wyatt Earp. 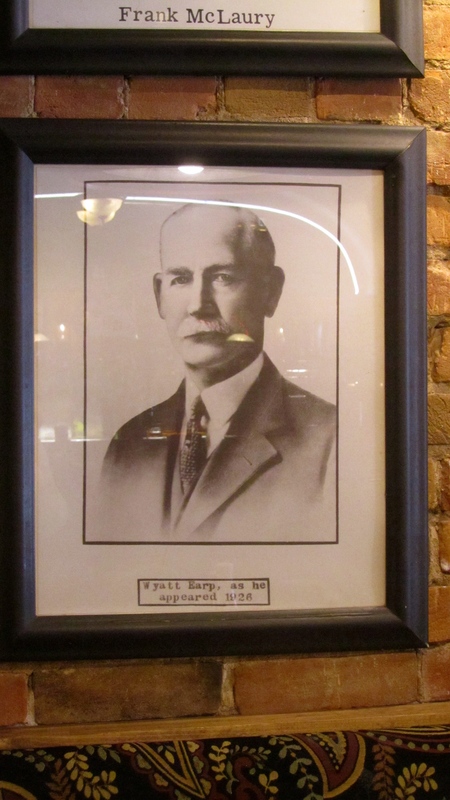 The caption says Wyatt Earp as he appeared in 1926. The Budweiser Beer Wagon at KD Hughes Wholesale Liquor at 824 Grand Avenue, here in Glenwood Springs, Colorado, is a favorite of ours. 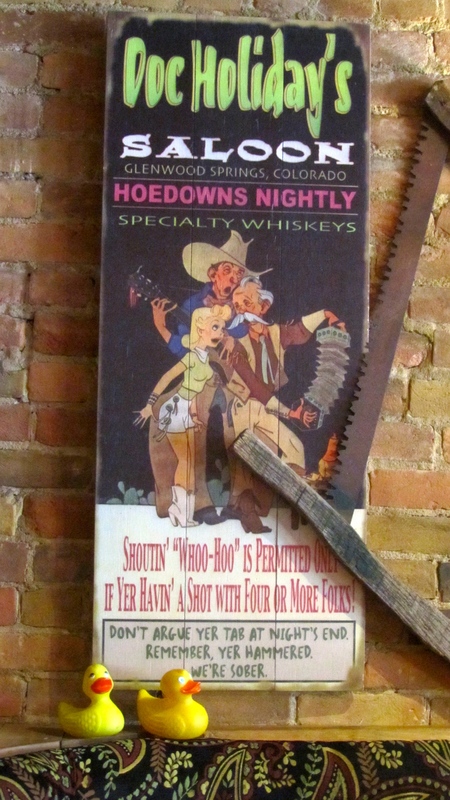 The saloon is great and so are the food and beverages. 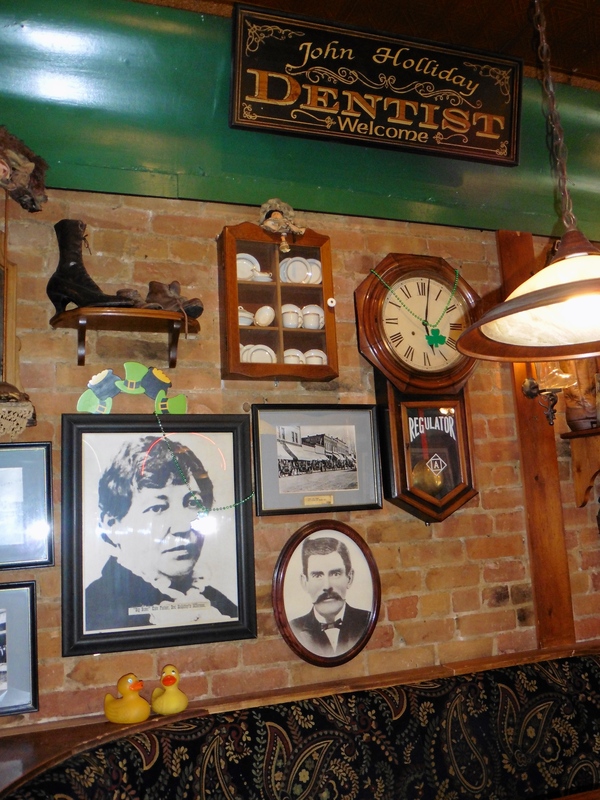 We think you would like this place and hope you will stop in when you are in Glenwood Springs, Colorado. but we really liked the town. The people were so friendly. This street reminded us of the old west from countless movies we have watched. Zeb and Eider really thought this horse was great. 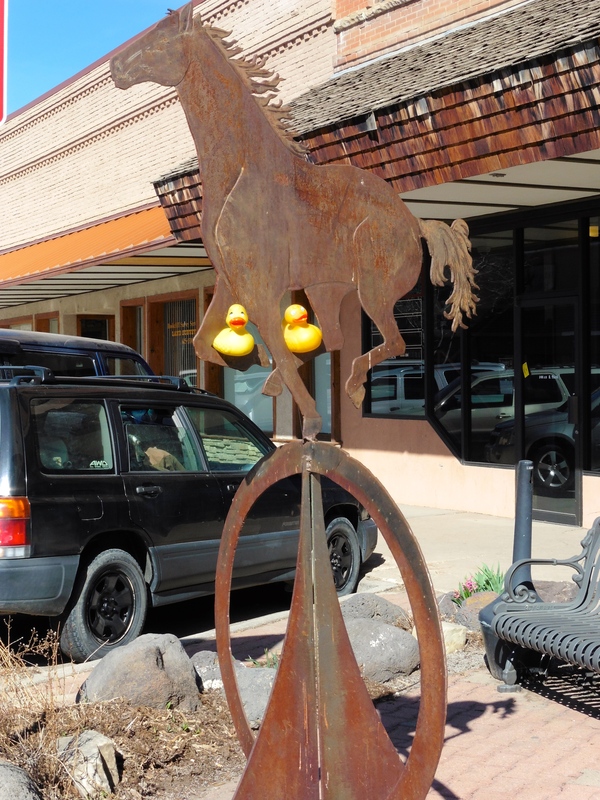 Ducks can sit on the feet of a horse and not be afraid. The Big Kids Corner Bar also looked inviting. We drove out of town to visit one of the many parks. The lake is so refreshing. Just like you would expect to see in the Rocky Mountains. The name, Walleye Parking Lot, made us smile. 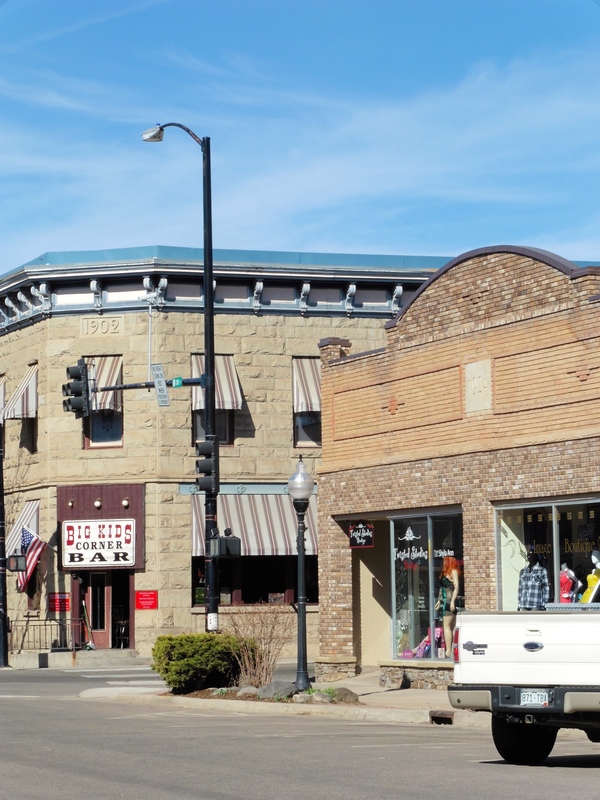 The humans used to fish for walleyes in northern Wisconsin when they were kids. The blue color of this mountain lake is just beautiful. 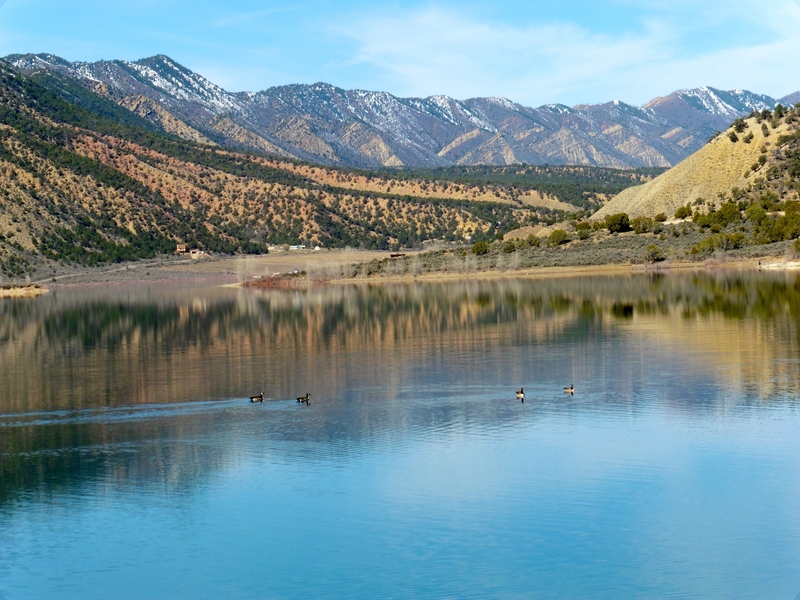 We love our Colorado lakes. Some of our distant relatives are swimming out there. 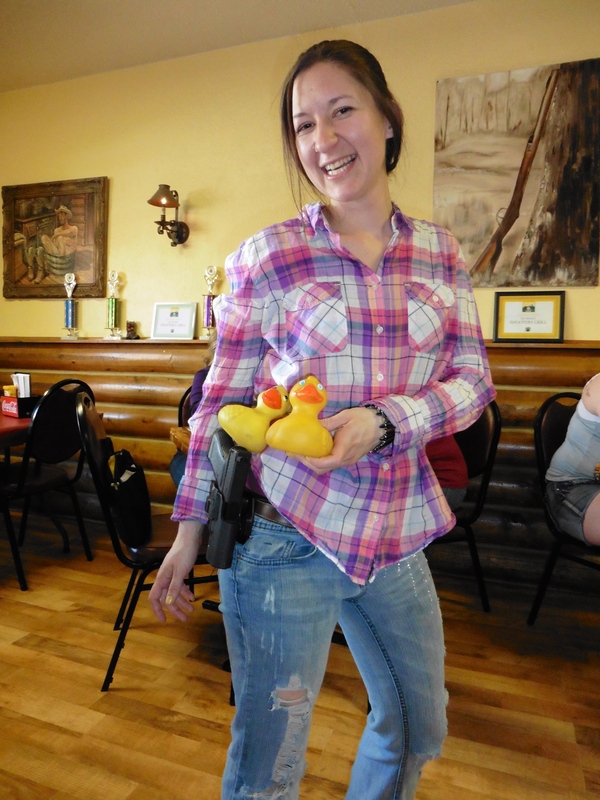 We tame ducks like our water a little warmer for swimming. Isn’t this some of the clearest water you have ever seen? 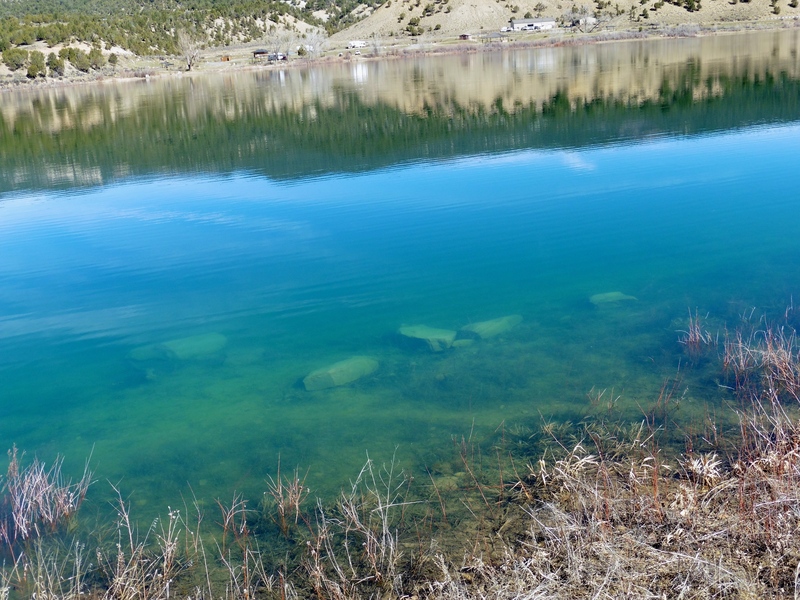 We can see all the rocks and smaller pebbles on the bottom of the lake. 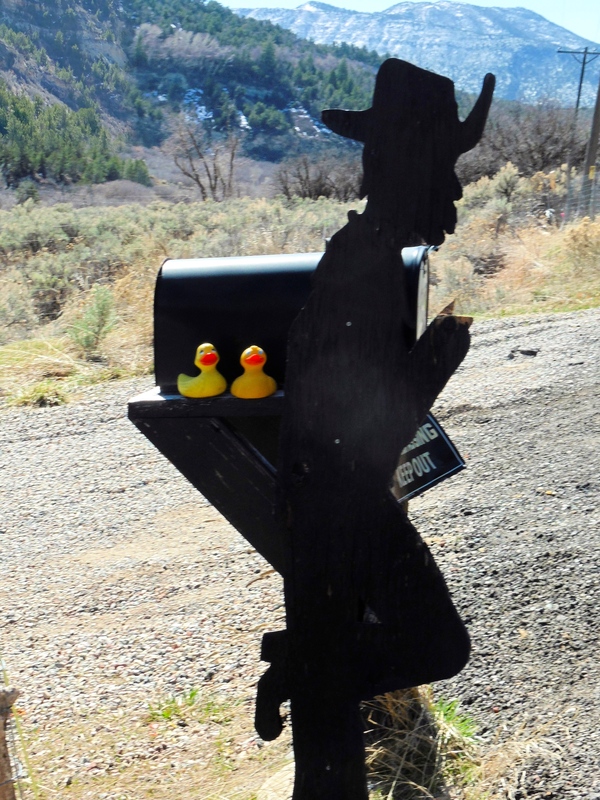 As we left this park heading back to I-70, this mailbox caught our attention. We loved it! You should visit Colorado soon. It is a great state. 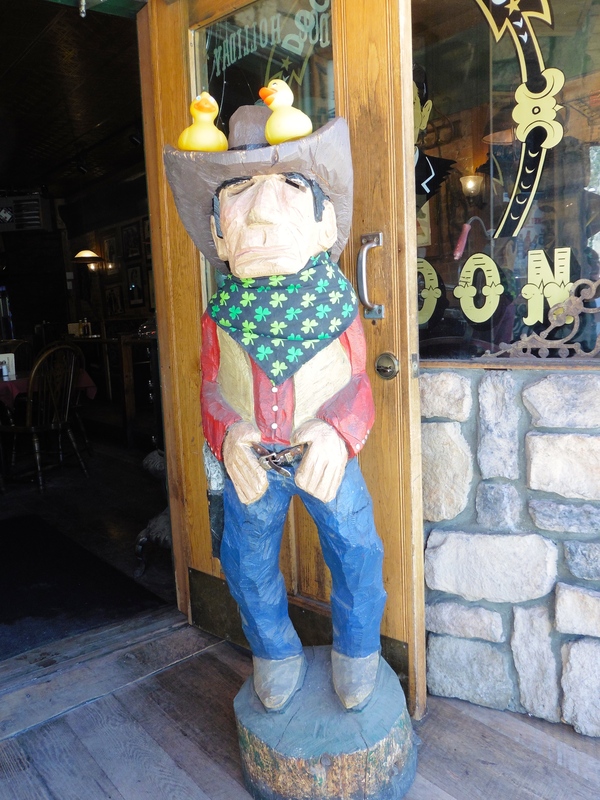 is a friendly restaurant, but it is a little different than most restaurants we have visited. 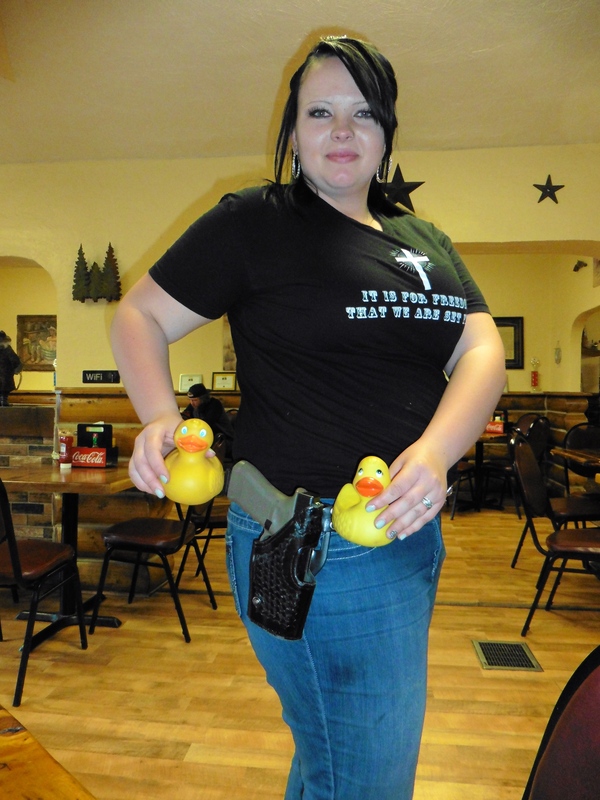 The waitresses all carry guns on their hip. Really! Let’s go inside. Everybody here was so nice and so friendly. We admired this welcome sign. Jessica took our drink order. Jessie is our new friend. They do not serve alcohol at Shooters, but our soft drinks were big and ice cold. We wandered around this restaurant. 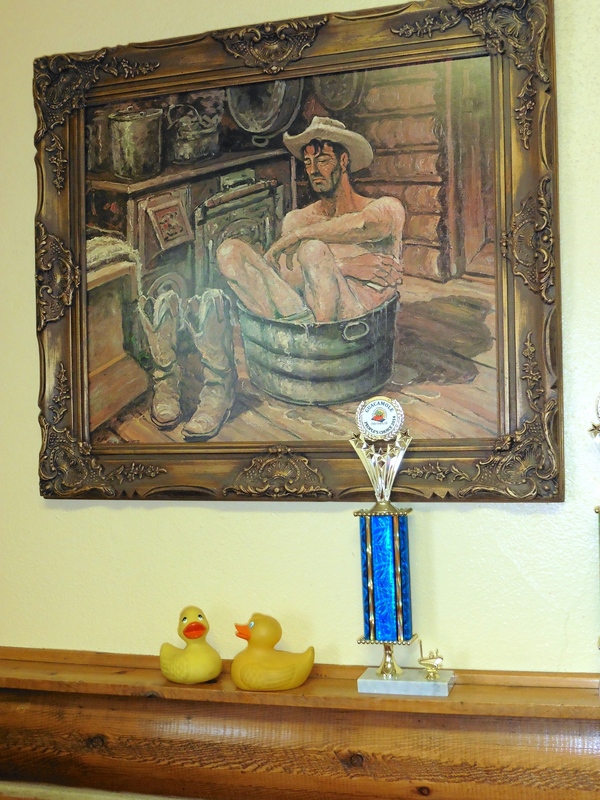 This picture of a man taking a bath in a tub is so typical of the early west. Isn’t it great? Zeb and Eider believe them when they say No Trespassing. These signs are serious! 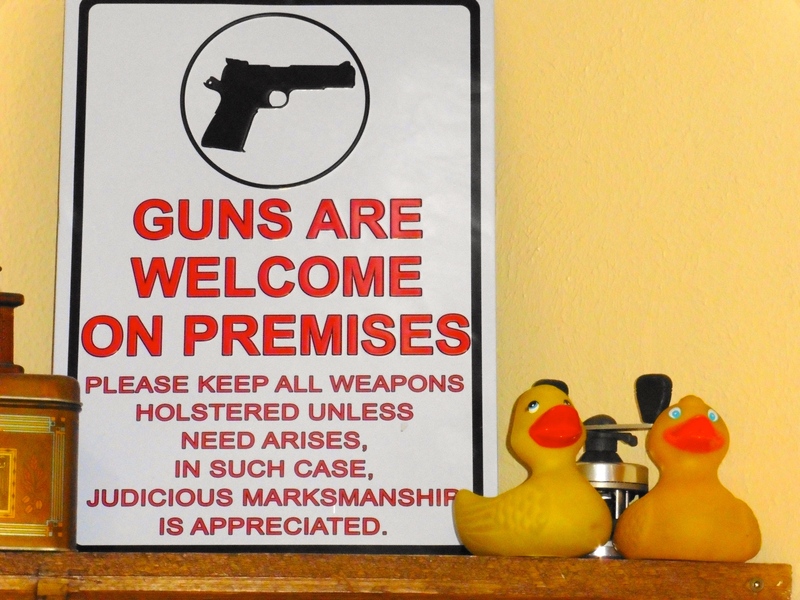 Zeb and Eider like this sign saying guns are welcome. 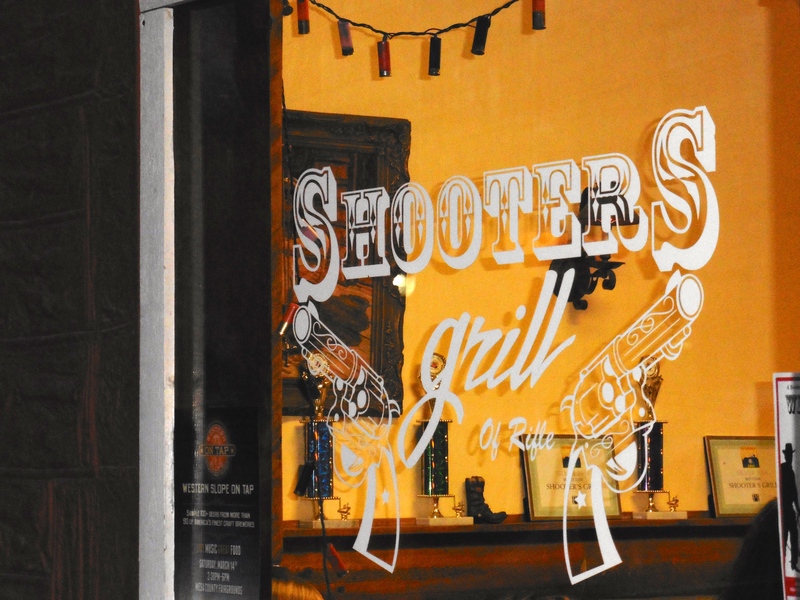 Shooters is a friendly restaurant, not a rowdy, crazy place. 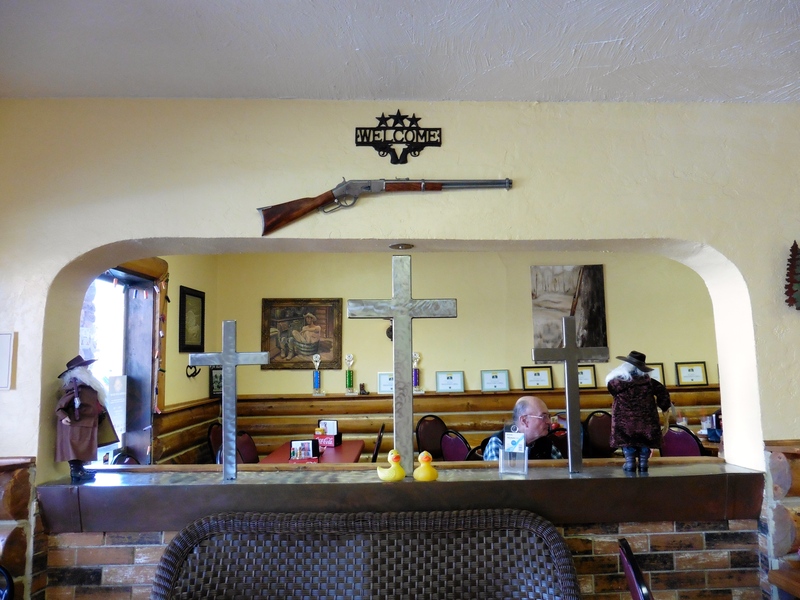 Signs indicate a belief in the Second Amendment rights and a strong Christian belief. If you want great food in a peaceful environment, served by friendly waitresses, this is your place. Brooke is another new friend and waitress. And, look at this food. The portions are big and the taste was perfect. 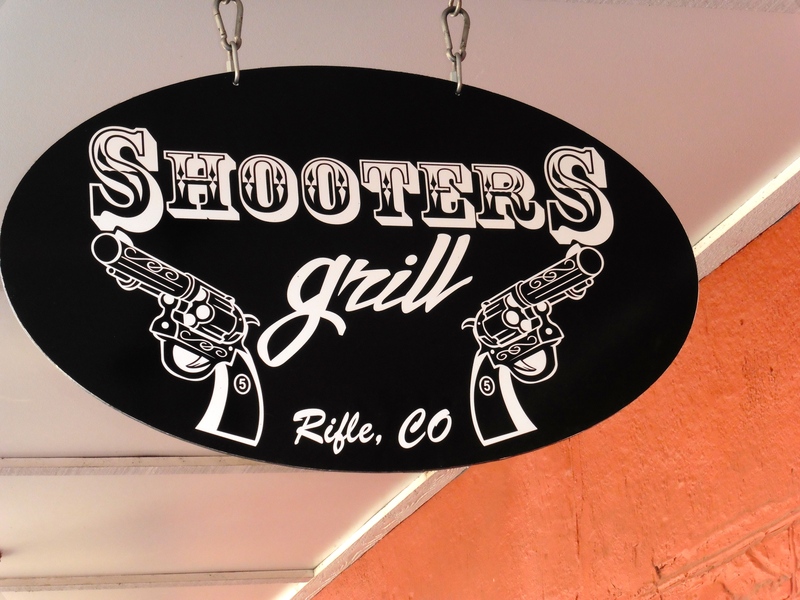 Whenever you are near Rifle, Colorado, stop at Shooters. Take exit 90 from I-70 and you are almost there. 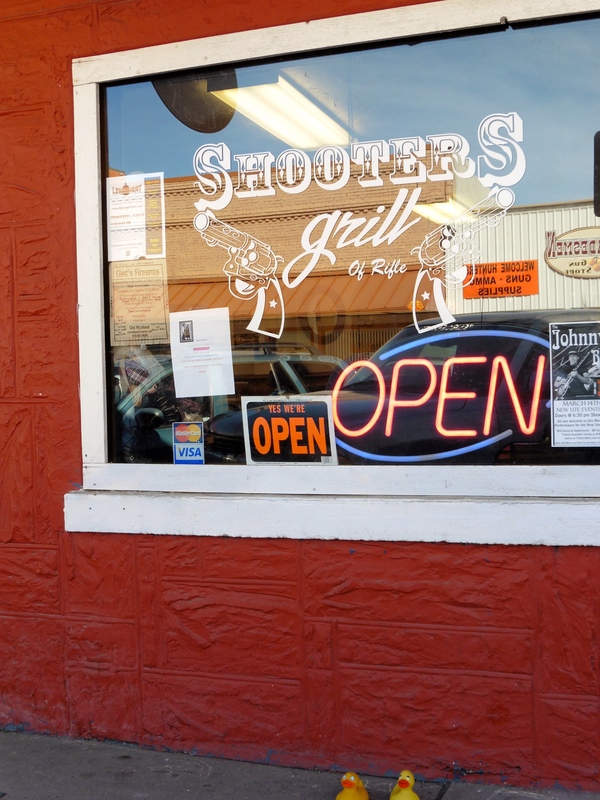 For more information visit http://www.shootersgrillofrifle.com You will be glad you stopped for a meal. Leaving Nederland and unseasonably warm temperatures, we west drove on I-70 to Vail Pass. 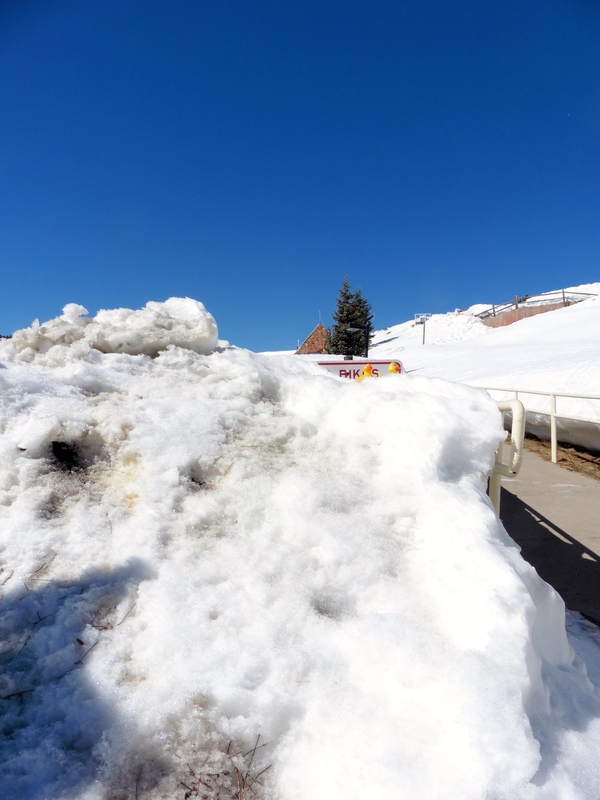 We stopped at the rest area and look at this snow. 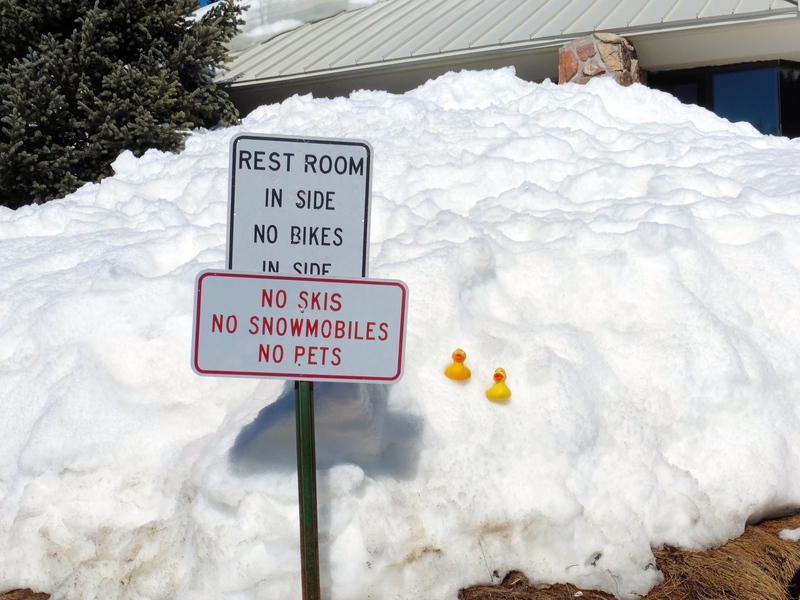 This sign is buried in snow. 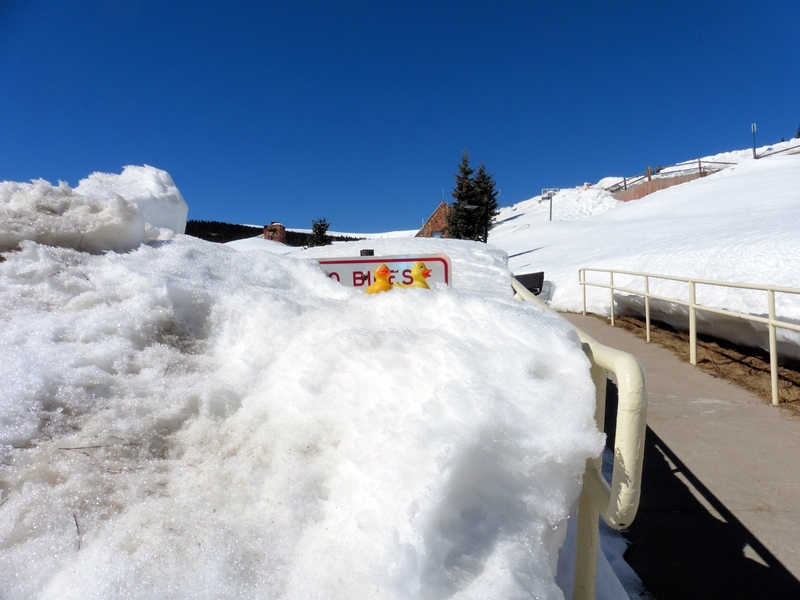 This shows the bright blue Colorado sky that we love. Isn’t this beautiful? 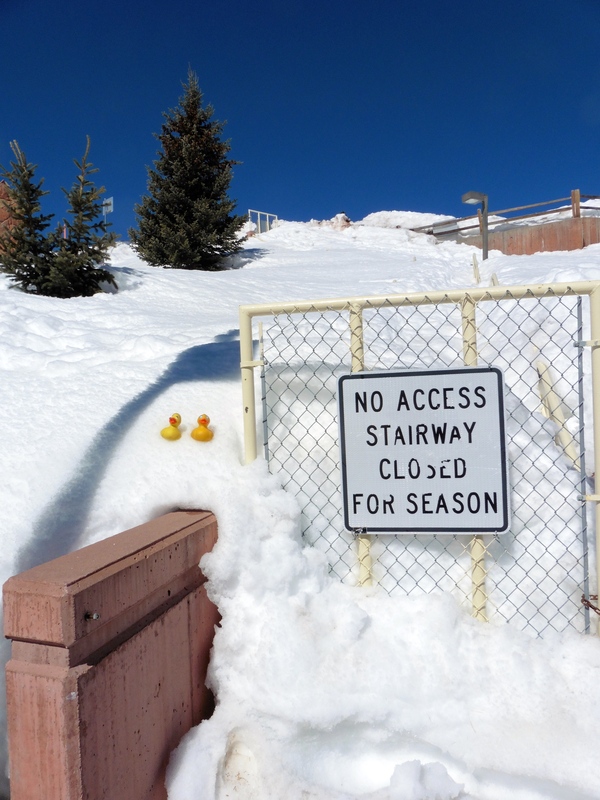 Even the stairway and path are closed due to snow. In the summer we hike up this hill and the view is spectacular. We love this sign. 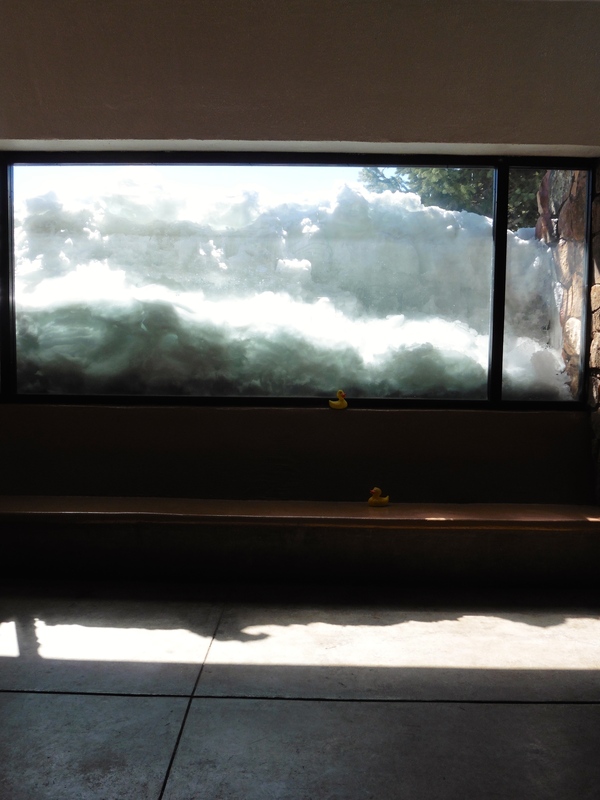 They need to tell us not to take skis and snowmobiles inside the rest area building. That is great! We went inside the building, but we could hardly see out the window. The snow is piled almost as high as the building. 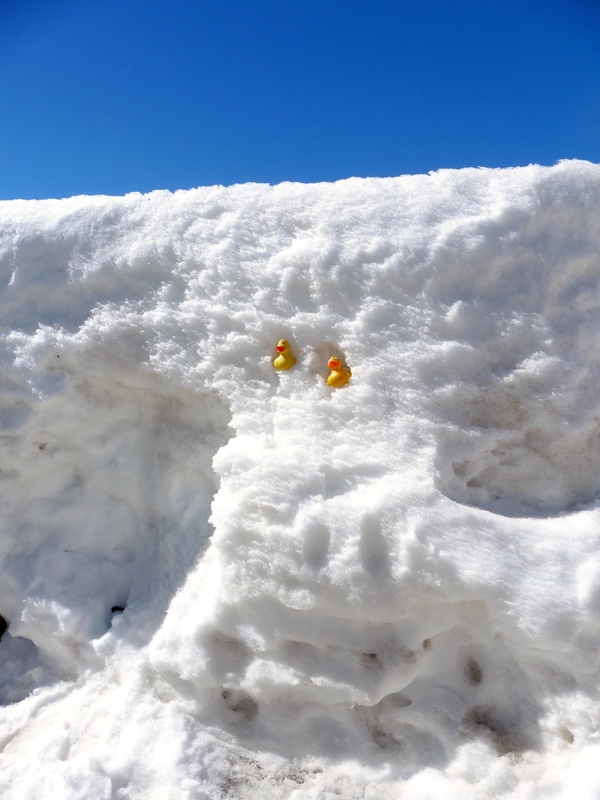 Here we are, Zeb and Eider Duck, sitting in a snow bank. Hey mom, this snow is cold. 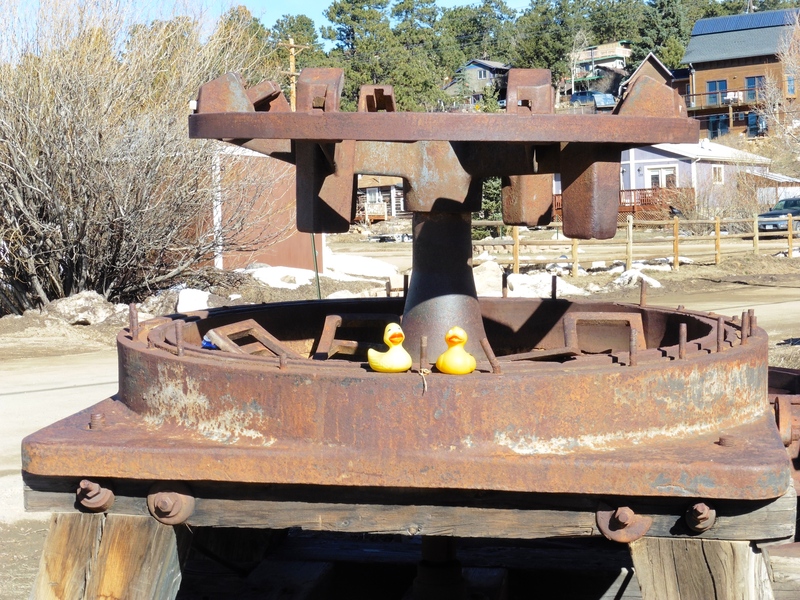 On the way out of Nederland, Zeb and Eider stopped at the Nederland Mining Museum. The humans wanted to see and show us a 1923 Panama Canal Steam Shovel. 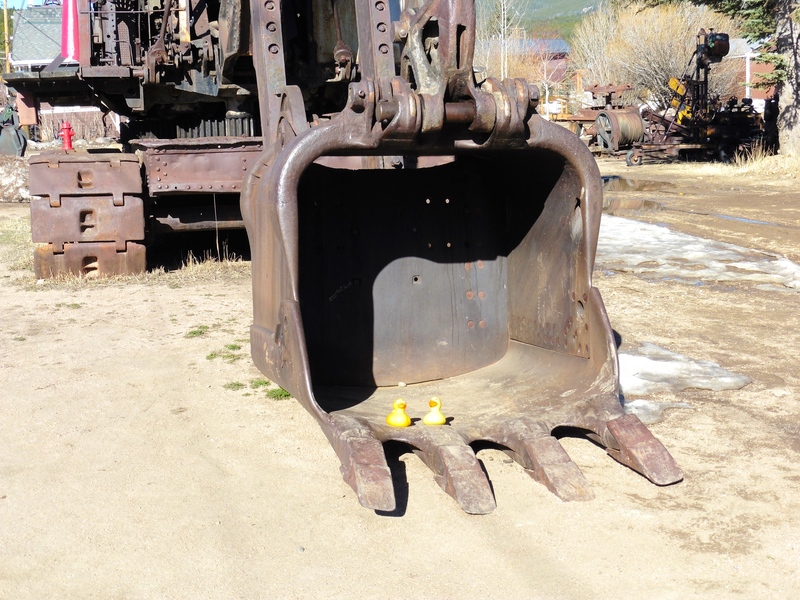 This shovel is huge compared to small rubber ducks. Twenty-five of these 1923 Panama Canal Steam Shovels, Bucyrus Model 50-B were sent to the Panama Canal to build bridges, roads and drains. Also to remove massive amounts of dirt and rock cut from the canal bed. In Panama, after the jobs were completed, 24 of these steam shovels were destroyed. This lone survivor was shipped to California and then brought to Denver. Early in the 1950s, Roy and Russell Durand transported this steam shovel to Rollinsville. 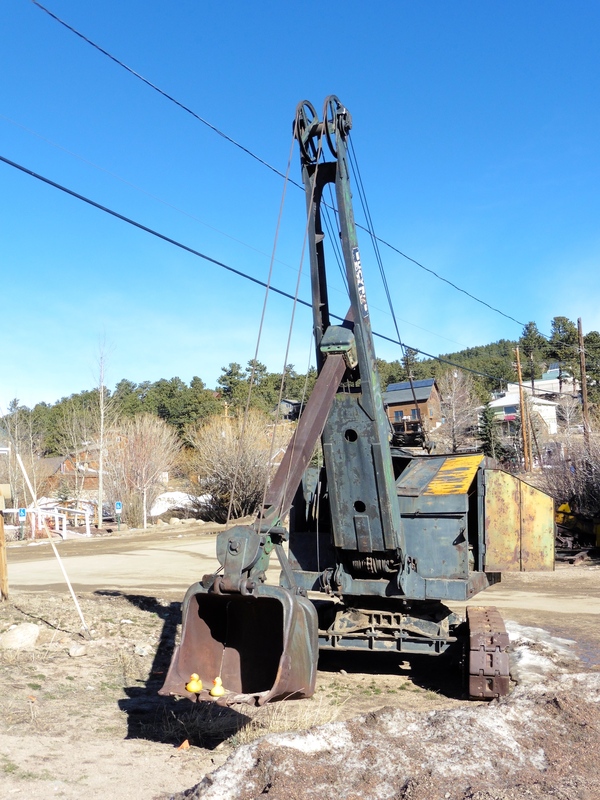 They operated the Lump Gulch Placer, 6 miles south of Nederland. This shovel was used there until 1978. 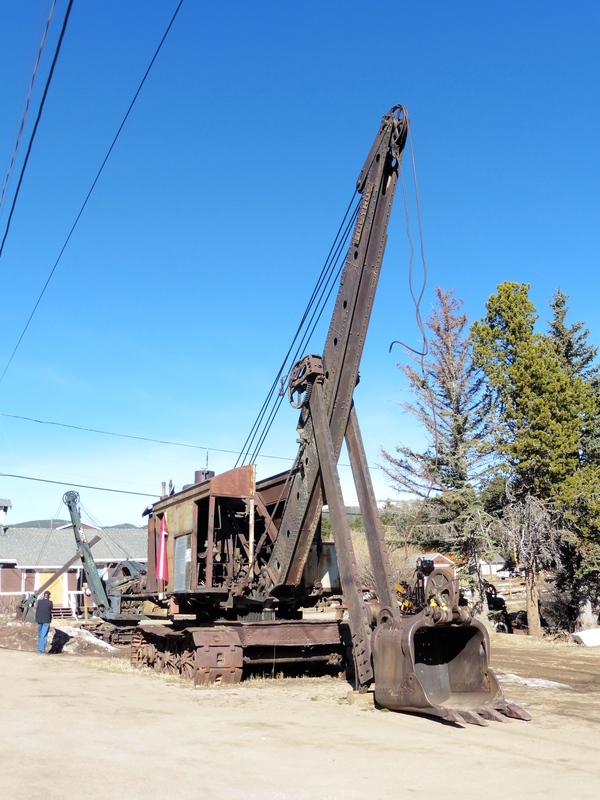 This Steam Shovel weighs 130,000 pounds and is rated at 75 tons. 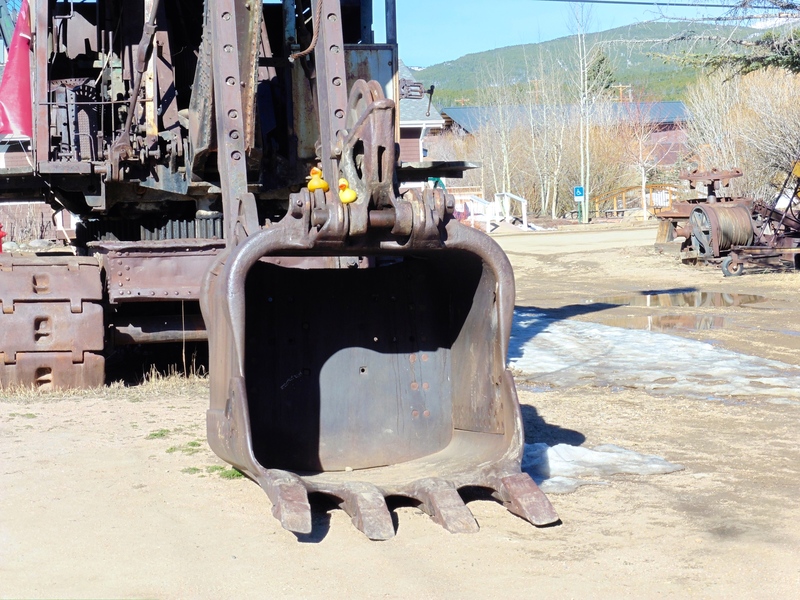 October 21, 2005 the shovel was moved from Lump Gulch to the Nederland Mining Museum. Steve and Laurel Higgins donated the shovel. Today it is the largest operating steam shovel in the United States. The museum also has a smaller version of the huge shovel. Even this smaller one is so big for little ducks. This is a great museum. Look at this other cool stuff we found. The Colorado Mountains supported many mines in the earlier years. 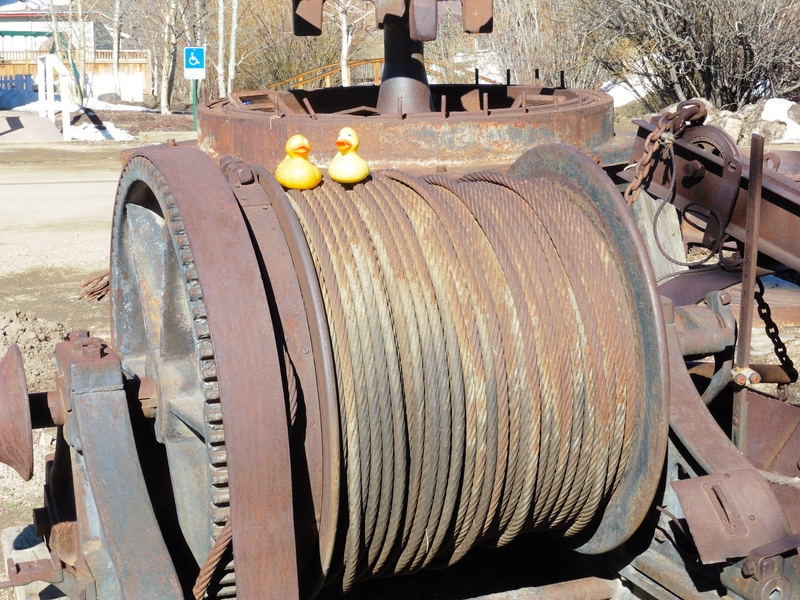 We find lots of mining museums and equipment as we travel around Colorado. We know you would like to see some of this stuff also. 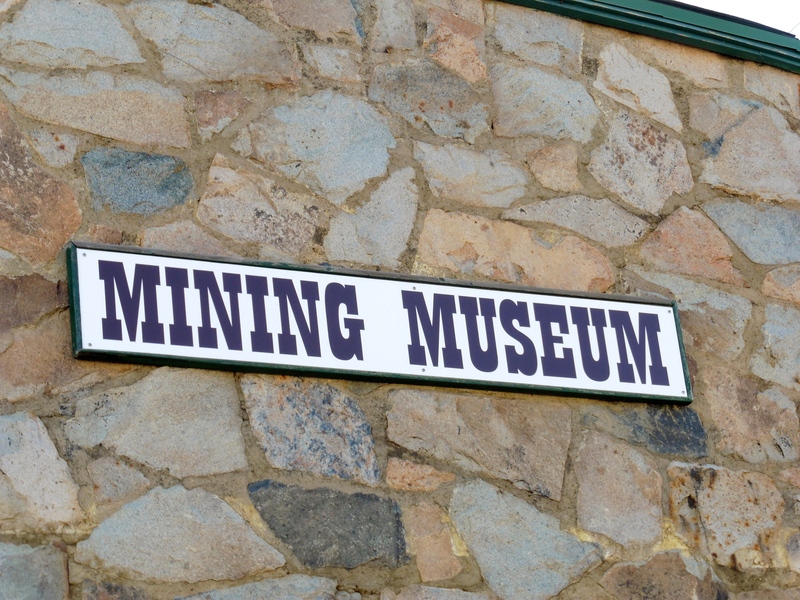 We hope you will visit many of these former mining towns in Colorado. This is the way to make history fun. 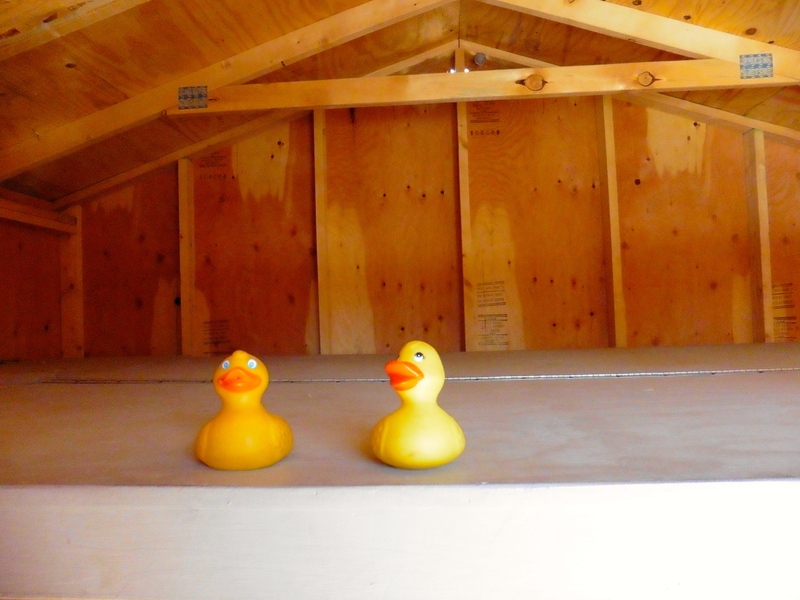 Zeb and Eider Duck visited Grandpa Bredo Morstoel in his Tuff Shed. 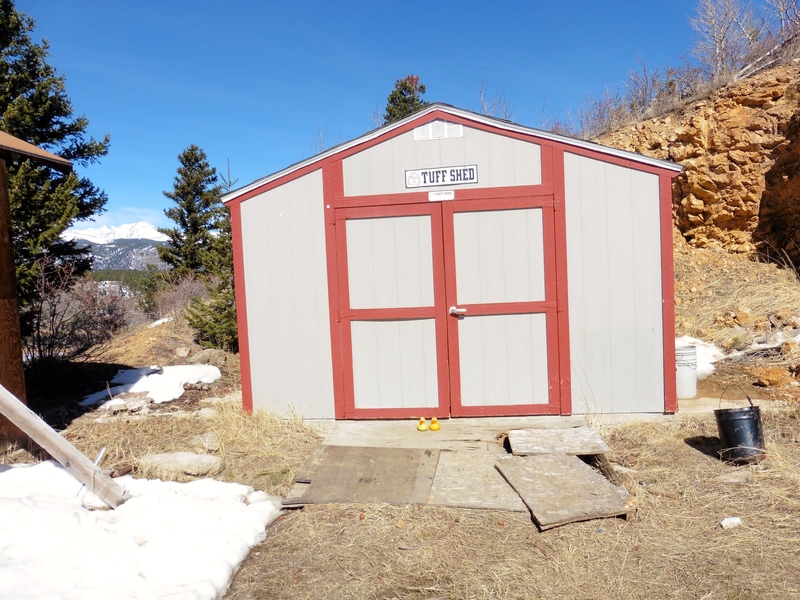 Brad, the man that keeps grandpa supplied with dry ice, took us to grandpa Bredo’s house and into his Tuff Shed. 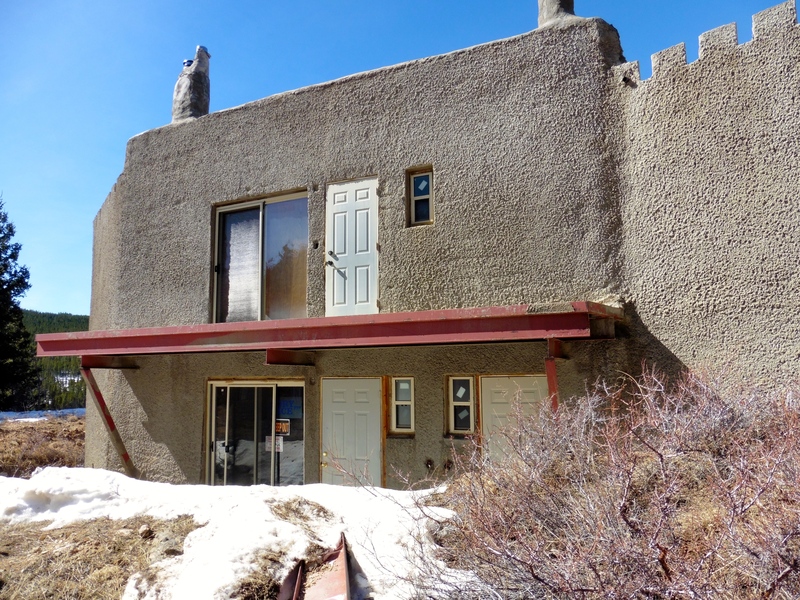 This house was built according to the directions of grandpa’s grandson, Trygve Bauge. This house is built to be earthquake-proof, bombproof and fireproof and have room for cryonically preserved body storage, as well as be sustainable and economical. 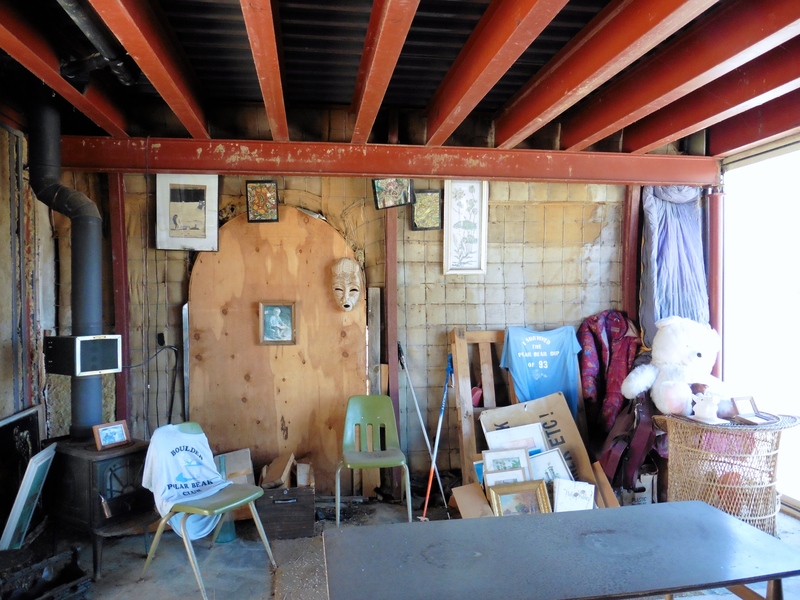 This end of the house was to hold cryonically frozen bodies. Trygve was deported before it was finished. and opened the box holding grandpa’s coffin, or sarcophagus. The box contains dry ice to keep grandpa frozen. The coffin, or sarcophagus, is elevated or suspended in the box. 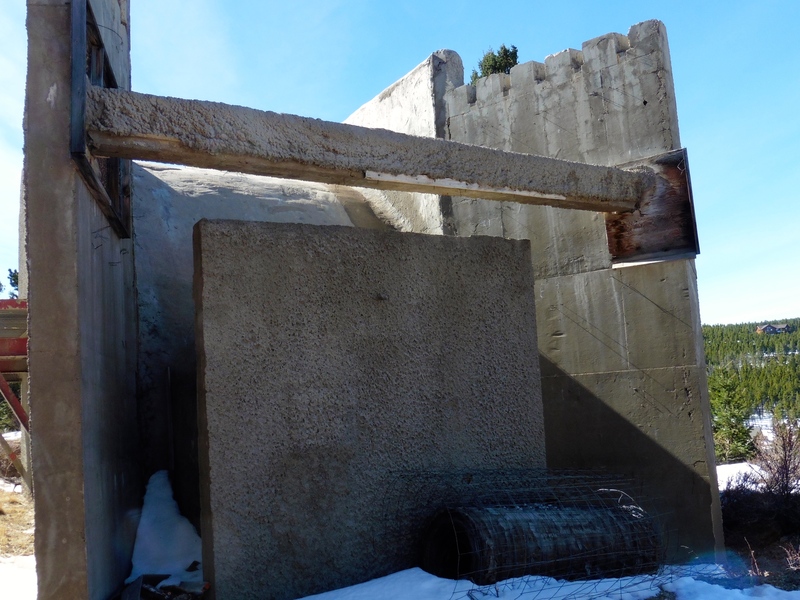 This permits the dry ice to be under, around and over the sarcophagus. 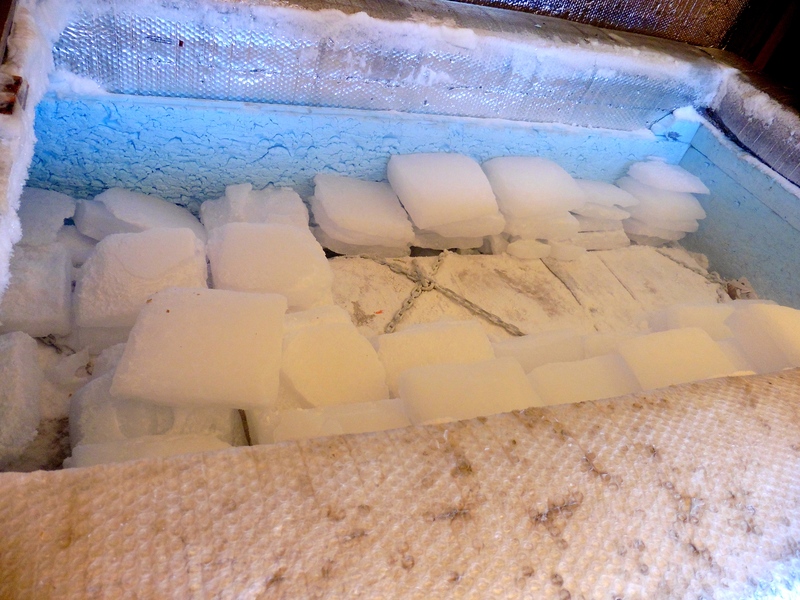 Brad delivers about 1500 pounds of dry ice every two weeks. The ice is paid for by Trygve, in Norway. 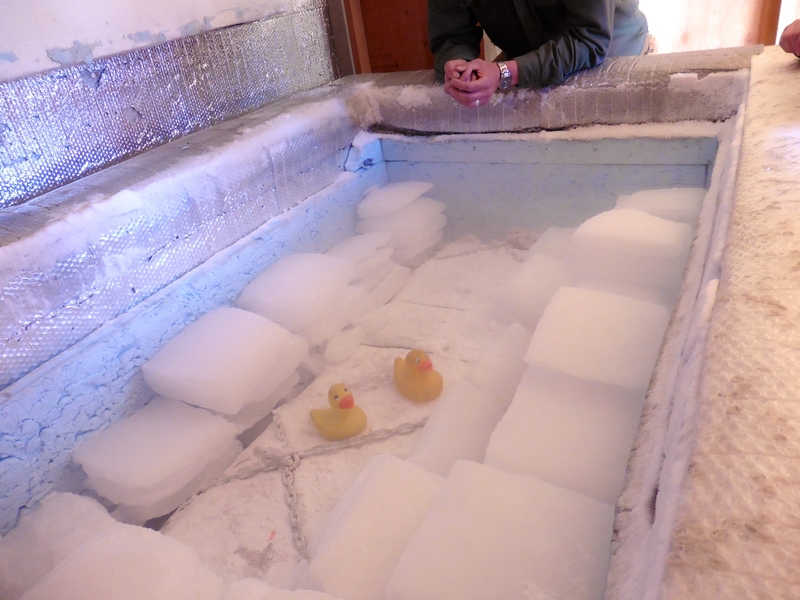 Zen and Eider Duck are sitting on the coffin. Zeb and Eider sitting with grandpa. This is cold! But not for too long. This is really cold. Let’s go into the house. It is constructed of reinforced concrete and steel beams. This is the living room, with the wood burning stove. We believe this stove is the only source of heat in here. Trygve’s living room. We liked the teddy bear by the window. 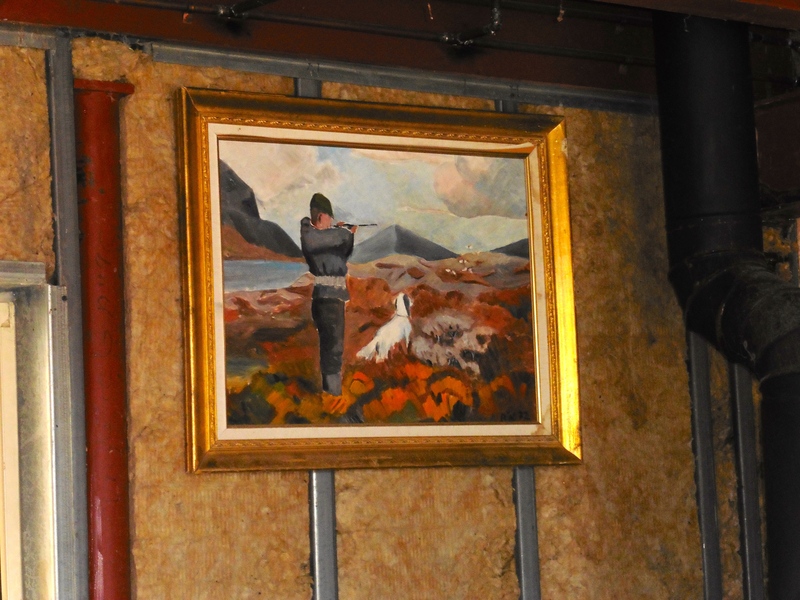 We really like this painting. Grandpa was a hunter and avid outdoors man in Norway. Brad said that grandpa Bredo painted it years ago. This house is build in a very nice area. The view from here is great. 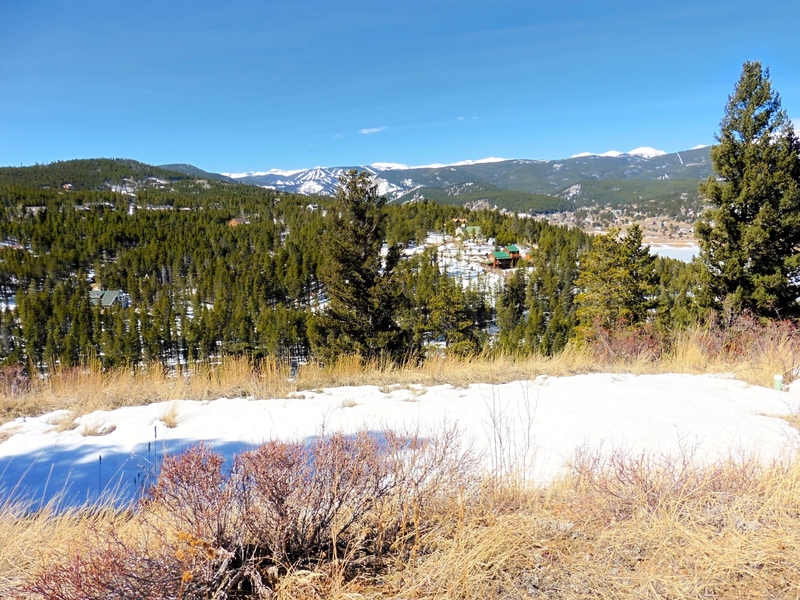 We are on a mountain looking down at the town of Nederland. This is certainly a beautiful spot for grandpa to wait to be reanimated, or brought back to life. We were told that was the purpose of cryonics. To freeze grandpa until a cure for his heart attack is found and then to bring him back to life. We wonder, will that work? Today is the last day of the 2014 tax season. This is exciting for the Colorado Traveling Ducks. Mom is a tax preparer for a major tax preparation company and today is her last day of work. Now we can visit other places. 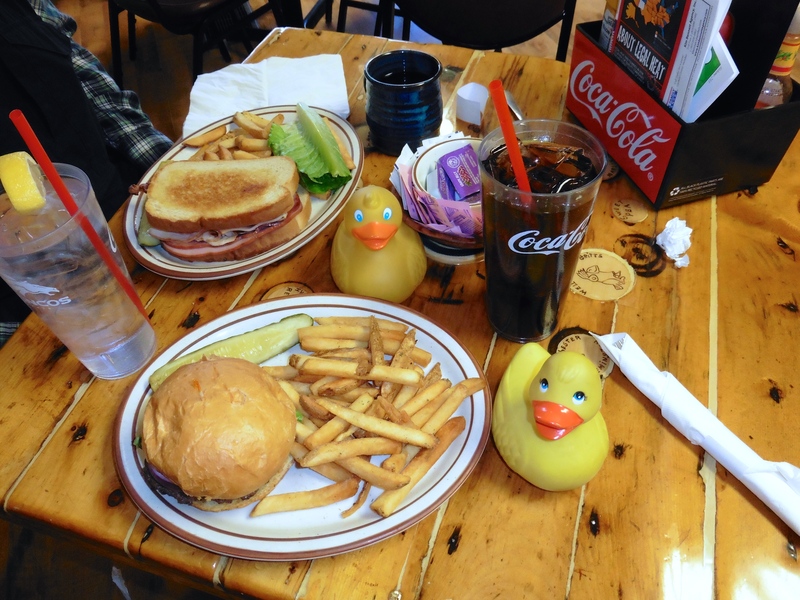 We, the Colorado Traveling Ducks, look forward to telling you about our last day at Frozen Dead Guy Days. We will be traveling around our beautiful state of Colorado soon. We plan to take a longer trip to another country later this year. Now our traveling life is ready to start again. Hope your taxes have been filed.